Toys and Games is the Toy Shop in FoxTown. We have carefully chosen our product range, selecting all the products with love. Our specialties are educational toys: stimulating, intelligent and entertaining! You will of course also find plush toys, dolls and toddler toys. 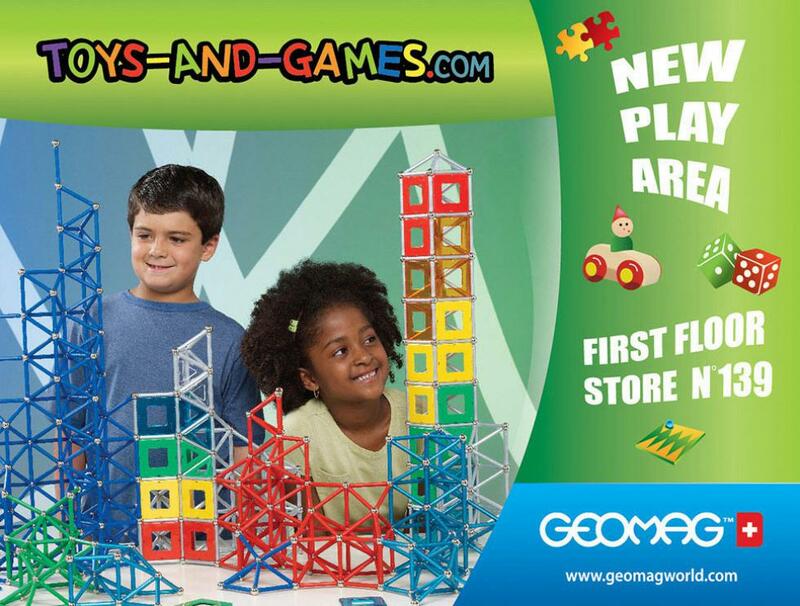 Among our brands: Geomag, Vilac, Quercetti, Famosa, Sentosphere and many others. The play area also allows children to relax, kick back and try our games. Come and visit us!